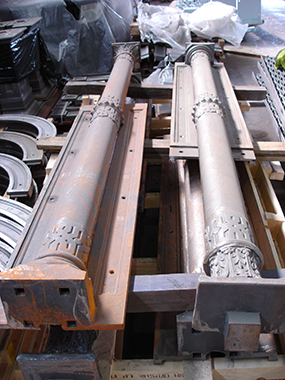 Overcoming rust corrosion is the holy grail of the metal industry. 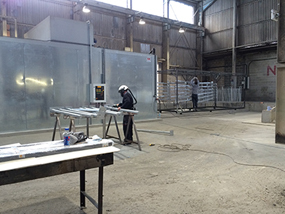 Hot metal spraying has become one of the most popular methods of protecting metalwork from damage by wind, moisture and frost. 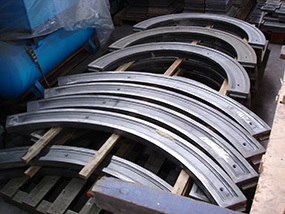 The process has many advantages, it is ideal for irregularly shaped products or components. 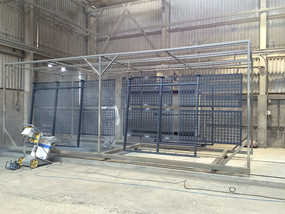 It is also quick and therefore cheaper than traditional galvanizing. 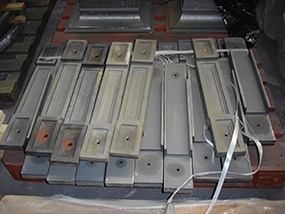 The first shot blasting machine was patented in 1870 by Benjamin Tilghman to remove painted and rusted surfaces before making further practical use of the item. In 1904, Thomas Pangborn developed Tilghman’s invention to include compressed air alongside the sand blasting to clean metal. 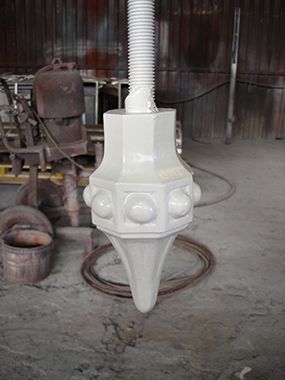 Initially, blast cleaning was used for practical industrial purposes, for example removing rust or polishing metal prior to painting. The technique nowadays also has decorative purposes, such as carving and adding texture. 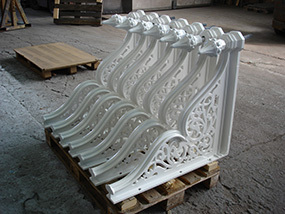 Currently, decorative uses include engraving crystal awards, the production of 3D signs, decoration of glass, and refurbishing buildings, however one of the earliest items to hit the market after being sandblasted were tobacco pipes, which sold for more money than smooth pipes. In those days, the technique would have resulted in varied and unpredictable patterns and warped shapes. 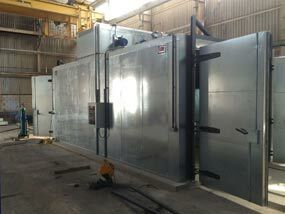 These days, sand blasters are composed of a chosen abrasive particle; chilled iron, steel grit or non-metallic glass grit, an air compressor and a blaster nozzle. 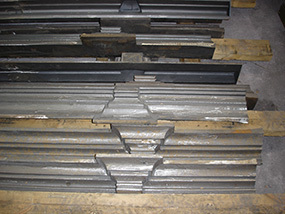 They’re commonly used to clean a surface of clinging materials or etching personalised words or designs into a material. 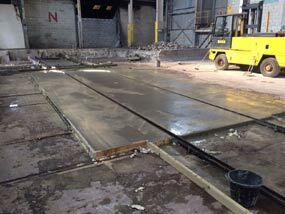 To find out more about modern-day Blast Cleaning, talk to PRO-TECT Coatings today. 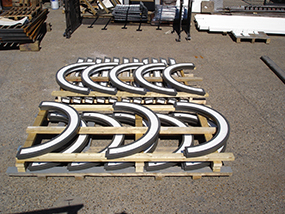 In order to ensure a long-lasting installation, it is worth properly considering your options for a site-appropriate finish. 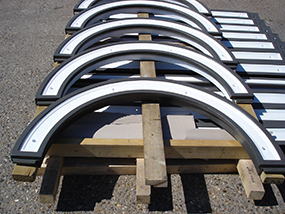 For extreme climates, it pays to consult the experts at Pro-Tect Coatings as we understand which the right coating is to best meet the aesthetics, functions and service life for the environment. For example, an environment which regularly suffers from flooding would benefit from a different coating than a project in an environment which regularly sees snow. 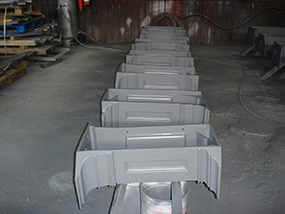 Powder coatings provide a thick and uniform coating with superior resistance to corrosion. This type of coating is also less vulnerable to cracking and peeling as it contains none of the solvents usually found in wet paints. 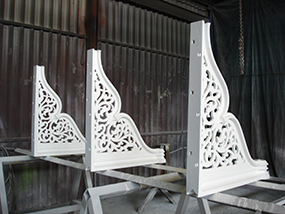 London / South East based powder coating company has achieved certification to the internationally recognised ISO 9001:2015 standard, establishing it as one of the leaders in its field. 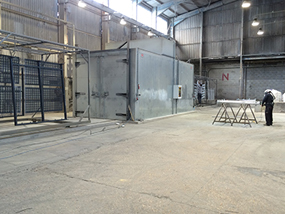 This independent assessment was conducted by the British Assessment Bureau, a leading Certification Body, and demonstrates Pro-Tect Coating’s commitment to customer service and quality in delivery. Pro-Tect Coatings has now earned the right to display the coveted British Assessment Bureau quality shield and ISO 9001:2015 logo to demonstrate its conformance to the standard. ISO 9001 was first introduced in 1987 and requires organisations to demonstrate that they do what they say they do, and that they have a Quality Management System in place to ensure consistency and improvement; leading to high levels of performance and customer satisfaction. Certified organisations are committed to continuous improvement and are assessed to ensure progress is being maintained. 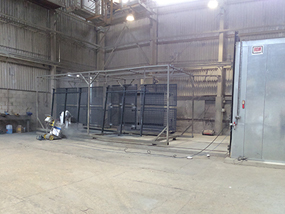 Pro-Tect Coatings has shown they have good powder coating service reliability and process controls, which means lower costs for its customers! 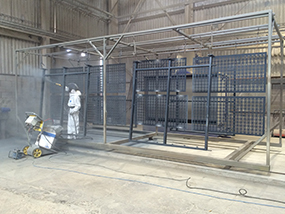 Pro-Tect Coatings has over 15 years of experience within the powder coating industry and has grown considerably since 2002. 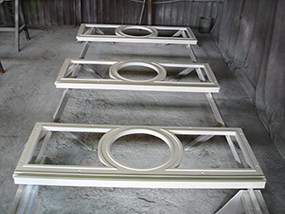 The company has established an excellent reputation for top quality work, not only amongst its loyal customers but also throughout the powder coating industry. 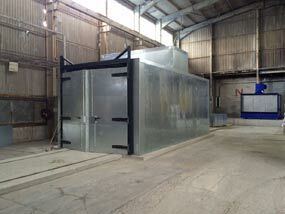 It is now a well known South-East based company with many new opportunities. 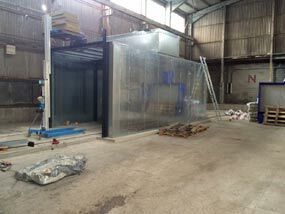 Our new 8 metre powder coating oven has been running for the past month and we are already seeing a great improvement in production. 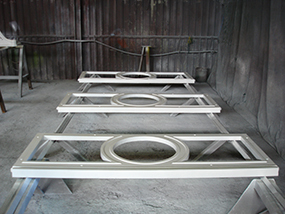 The ease of having access at both ends of the oven allows us to powder the work-pieces at one end while finished work is cooling down at the other. As a result, our turnaround times have also improved. 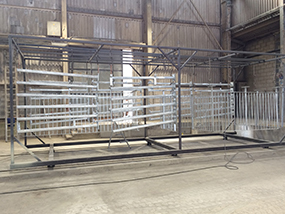 2 new contracts have recently been secured, each having 300 balconies to be powder coated. 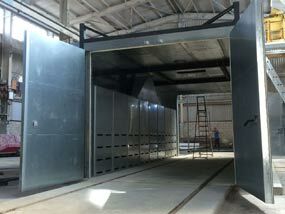 Work on these is already underway. 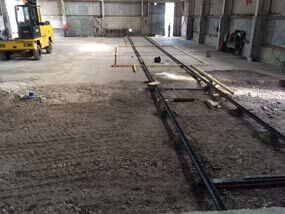 Substantial works have been carried out to the inside of the building and 2 new powder coaters have been employed. 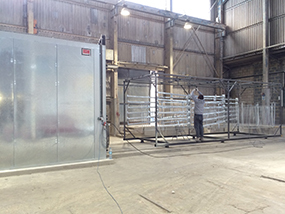 These powder coating ovens started taking in work from London and Kent in August 2016. Brighton’s historic West Pier Toll Booths are being lovingly restored and re-instated alongside the new British Airways i360 Observation Tower. If you have visited Brighton sea front in the past you may remember one of the booths as the famous rock-shop which closed in 2009 after becoming structurally unsound. 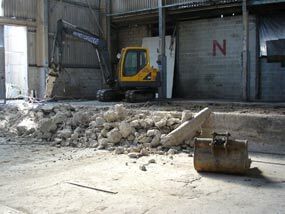 Fortunately the buildings were carefully dismantled and placed in storage. 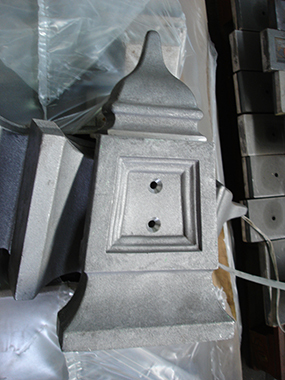 New castings have now been taken from the originals and the cast Iron buildings are to be brought back to their former glory. 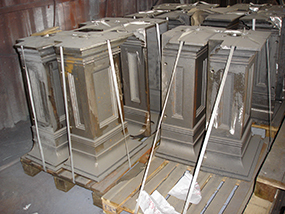 Pro-Tect Coatings are delighted to have taken part in the restoration project. 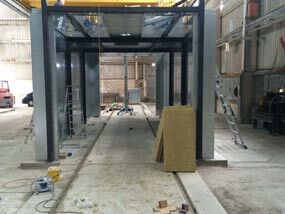 In order to preserve the steelwork it has been shot blasted to remove surface rust and key the metal work before applying a h high specification paint system designed to cope with the harsh marine environment in which the Toll Booths will be situated. After the final top coat, hand painted coach-lines were applied. 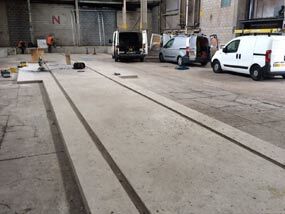 All surface preservation treatments have been carried out at our premises in Belvedere Kent. Visit the British Airways i 360 building click here. 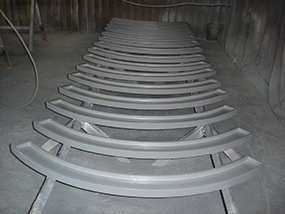 The solvent-borne general industrial coatings market will have the use of this new dispersant which has been specially developed from Evonik. The number of dispersing additives needed will be reduced by TEGO Dispers 679, a cost-effective dispersing additive for all types of pigments. It offers high performance, as well as providing good viscosity reduction and stable performance, and can be used in direct grind formulations. As a true all-rounder, TEGO Dispers 679 provides good colour strength and stability for nearly all types of resin and pigments systems in general industrial applications, as well as broad compatibility with most of the resin systems. 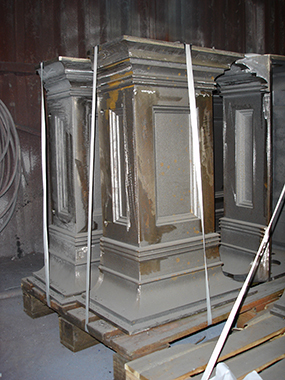 For more Information on new materials used in Powder coatings used in London call Pro-tect coatings on 020 8311 4448.